Though far from new (Harris 1973), the scholarly examination of non-professional translators and interpreters is an emerging and increasingly legitimate object of study (Martínez-Gómez 2015a) in TIS (Translation and Interpreting Studies). Non-professionals have been seen to negatively impact service quality (see Hale 2016) even while they have also been shown to represent, in some circumstances, the only source of language mediation available (Lázaro-Gutiérrez and Valero-Garcés 2014). In studies aimed at providing suitable frameworks for the development and institutionalization of professional translation and interpreting, where higher status is the goal, the role that non-professionals play is considered problematic, risky, or threatening to the process of professionalization (Ortega Herráez et al. 2004, Marizzi 1988, Mayoral Asensio 2012, Cummins 2011). In some societies, training institutions view non-professionals as a threat (Martín 2015) and as the cause (EFE 2014), rather than the consequence, of market disorder. Others recognize non-professionals as serving specific social needs (Pérez-González 2010). Approaches focusing on social closure (Parkin 1974) and opposing non-professionals, however prevalent among professional translators’ blogs, social networks, journals or codes of ethics (Mayoral Asensio 2012, Cummins 2011), are far from universal. Professional practitioners often engage with non-professionals and trainees in cooperative translation projects or in providing interpreting services for major international events (Boéri 2010), as well as in myriad public service settings. Indeed, language mediation practices in some societies actively account for the crucial intervention of non-professionals in public service and judicial settings, especially when trained and tested translators and interpreters are lacking for speakers of languages of lesser diffusion (LLD). In fact, some social systems provide specific pathways by which translators and interpreters with no specific formal training and credentials can access the professional market. Such is the case of the Argentinian “Colegio de Traductores de la Ciudad de Buenos Aires,” which includes a register for non-professionals that can be accessed when professional translators are not available for the language pair, date or territory in need (CTPCBA 2011). The same can be said of the duty imposed on Catalan language service providers (LSP) tendering their services in the fields of justice, most notably when serving law-enforcement agents. In these settings, LSPs have the obligation to offer ongoing development to their translators and interpreters, whether trained or untrained (Departament d’Interior 2016). Although several scholars have begun the important process of inquiry into non-professional translation and interpreting (see Aguilar-Solano 2015; Martínez-Gómez 2015a, 2015b, 2015c; O’Hagan 2011, 2012; and Susam-Sarajeva & Pérez González 2012), the complexities of defining and studying volunteers and non-professionals in public service and legal settings through the lens of ethics has yet to be systematically examined. Volunteers’ and non-professionals’ role definitions, codes of conduct, standards of practice and personal ethos represent fairly uncharted territory meriting empirical studies that can bring interdisciplinary approaches, models and methods (Olohan 2014) to bear on this emerging area of inquiry. This volume, to that end, aims specifically to explore the overlap between translatorial ethics and ethos in the context of non-professional translation and interpreting, to more fully define the interplay between professional (codes of) ethics and role definitions in relation to non-professional practitioners, and to interrogate how ethics are instantiated in practice and in training. The (public) service ideal in the translation professions: How is the best interest of the client taken into account in processes of professionalization and codes of ethics? What is the role of natural translators and interpreters in fulfilling the mission of the translation professions? Authors interested in contributing to this special thematic issue should submit an abstract (400–500 words) to both of the guest editors: Esther Monzó Nebot (monzo@uji.es) and Melissa Wallace (melissa.wallace@utsa.edu). Please include a brief bionote about the authors and their university affiliation in a separate file. All abstracts and manuscripts should adhere to the Translation and Interpreting Studies style guide (http://www.atisa.org/tis-style-sheet). Authors of abstracts that are accepted for consideration will be invited to submit a full manuscript that is 6000–7500 words in length (exclusive of bibliography). Every manuscript will be submitted to a double-blind peer review that includes at least two referees. Aguilar-Solano, María. 2015. “Non-professional Volunteer Interpreting as an Institutionalized Practice in Healthcare: A Study on Interpreters’ Personal Narratives.” Translation & Interpreting: The International Journal for Translation and Interpreting Research 17 (3):132-148. Boéri, Julie. 2010. “Emerging narratives of conference interpreters’ training: a case study of ad hoc training in Babels and the Social Forum.” Puentes. Hacia nuevas investigaciones en la mediación intercultural 9. CTPCBA. 2011. Código de ética. Buenos Aires: Colegio de Traductores Públicos de la Ciudad de Buenos Aires. Cummins, Sarah. 2011. “« Comme c’est bizarre » : le risque d’intrusion traductive en littérature pour la jeunesse.” Traduire. Revue française de la traduction 224:70-89. Departament d’Interior. Generalitat de Catalunya. 2016. Plec de prescripcions tècniques per a la contractació de serveis d’interpretació i de traducció de llengües a les unitats centrals i territorials del Cos de Mossos d’Esquadra. IT-2015-593, Subdirector General d’Administració i Serveis. Barcelona: Generalitat de Catalunya. EFE. 2014. “Traductores exigen al Gobierno atajar el intrusismo en comisarías y juzgados.” eldía.es Dec. 15. Hale, Sandra. 2016. “Moving Boundaries through community interpreting research.” EST Congress 2016, Aarhus, 17/09/2016. Harris, Brian. 1973. “La traductologie, la traduction naturelle, la traduction automatique et la semantique.” In Problèmes de sémantique, edited by Judith McA’Nulty, Paul Pupier and Antonio A. M. Querido, 133-146. Montreal: Presses de l’Université du Québec. Lázaro-Gutiérrez, Raquel, and Carmen Valero-Garcés. 2014. “Monitoring quality of interpreting and mediation services in the healthcare setting.” International Conference on Non-Professional Interpreting and Translation (NPIT2), Germersheim. Marizzi, Bernd. 1988. “Centros de formación de traductores e intérpretes en Austria y Alemania Federal.” In II Encuentros Complutenses en Torno a la Traducción: 12-16 de diciembre de 1988, edited by Juan Margit Raders, 231-245. Madrid: Universidad Complutense de Madrid. Martín, Javier. 2015. “27 centros de Traducción lucharán desde Soria contra el intrusismo.” Diario de Soria Jan 23. Martínez-Gómez, Aída. 2015a. “Bibliometrics as a tool to map uncharted territory: A study on non-professional interpreting.” Perspectives 23 (2):205-222. doi: 10.1080/0907676x.2015.1010550. Martínez-Gómez, Aída. 2015b. “Invisible, Visible or Everywhere in Between? Perceptions and Actual Behaviours of Non-professional Interpreters and Interpreting Users.” The Interpreters’ Newsletter 20:175-194. Martínez-Gómez, Aída. 2015c. “Non-Professional Interpreters “ In The Routledge Handbook of Interpreting, edited by Holly Mikkelson and Renée Jourdenais, 417-431. London, New York: Routledge. Mayoral Asensio, Roberto. 2012. “El nuevo traductor en Europa tiende a ser cada vez más versátil y menos enfocado en la traducción o la interpretación puras.” Revista cTPcba 111:7-8. O’Hagan, Minako. 2011. Linguistica Antverpiensia Translating as a social activity. Antwerpen: University College Antwerp, Department of Translators & Interpreters. O’Hagan, Minako. 2012. “Translating as a social activity: Community translation 2.0.” Linguistica Antverpiensia 10. Olohan, Maeve. 2014. “Why do you translate? Motivation to volunteer and TED translation.” Translation Studies 7 (1):17-33. doi: 10.1080/14781700.2013.781952. Ortega Herráez, Juan Miguel, Pilar Arróniz Ibáñez de Opacua, Paloma Aldea Sánchez, and Sonsoles Plaza Vázquez. 2004. “Situación actual de la práctica de la traducción e interpretación en la Administración de Justicia.” In La traducción en el ámbito institucional: autonómico, estatal y europeo, edited by Susana Cruces Colados and Ana Luna Alonso, 85-126. Vigo: Universidad de Vigo. Parkin, Frank. 1974. “Strategies of Social Closure in Class Formation.” In The Social Analysis of Class Structure. Londres: Tavistock Publications. Pérez-González, Luis. 2010. “’Ad-hocracies’ of Translation Activism in the Blogosphere.” In Text and Context. Essays on Translating and Interpreting in Honour of Ian Mason, edited by Mona Baker, Maeve Olohan and María Calzada Pérez, 259-288. Manchester, Kinderhook: St. Jerome. Susam-Sarajeva, Sebnem, and Luis Pérez González. 2012. “Non-professionals Translating and Interpreting. Participatory and Engaged Perspectives.” The Translator 18 (2):149-165. Althaus, Marco. 2005. “Professionalisierung.” Public Affairs und Politikmanagement 1:247-250. Angelelli, Claudia V. 2004. Revisiting the Interpreter’s Role. A study of conference, court, and medical interpreters in Canada, Mexico, and the United States, Benjamins Translation Library. Amsterdam, Philadelphia: John Benjamins. Angelelli, Claudia V. 2006. “Validating professional standards and codes: Challenges and opportunities.” Interpreting 8 (2):175-193. Angelelli, Claudia V. 2010. “A professional ideology in the making: Bilingual youngsters interpreting for their communities and the notion of (no) choice.” Translation and Interpreting Studies 5:94-108. doi: 10.1075/tis.5.1.06ang. Angelelli, Claudia V. 2015. “Justice for All? Issues Faced by Linguistic Minorities and Border Patrol Agents during Interpreted Arraignment Interviews.” MonTI: Monografías de traducción e interpretación (7):181-205. Antonini, Rachele. 2010. “Natural Translator and Interpreter.” In Handbook of Translation Studies, edited by Yves Gambier and Luc van Doorslaer. Amsterdam: John Benjamins. Antonini, Rachele, and Chiara Bucaria. 2016. Non-professional interpreting and translation in the media. Frankfurt am Main: Peter Lang. Baker, Mona, and Carol Maier. 2011. “Ethics in Interpreter & Translator Training.” Special Issue of The Interpreter and Translator Trainer 5:1-14. doi: 10.1080/13556509.2011.10798809. Biel, Łucja, and Jan Engberg. 2013. “Research Models and Methods in Legal Translation.” Linguistica Antverpiensia 12:1-11. Boéri, Julie. 2012. “Ad Hoc Interpreting at the Crossways Between Natural, Professional, Novice and Expert Interpreting.” In Interpreting Brian Harris, edited by Amparo Jiménez Ivars and María J. Blasco Mayor, 117-131. Peter Lang. Boéri, Julie, and Jesús de Manuel Jerez. 2011. “From Training Skilled Conference Interpreters to Educating Reflective Citizens.” The Interpreter and Translator Trainer 5 (1):41-64. doi: 10.1080/13556509.2011.10798811. Cao, Deborah. 2006. “The Right to an Interpreter and the Right Interpreter.” Translation Watch Quarterly 2 (4):7-29. Chesterman, Andrew. 2002. “Is translation theory relevant to translators’ problems?” In Can Theory Help Translators? A dialogue between the ivory tower and the wordface, edited by Andrew Chesterman and Emma Wagner, 1-12. Manchester, Northampton: St. Jerome. Clifford, Andrew. 2004. 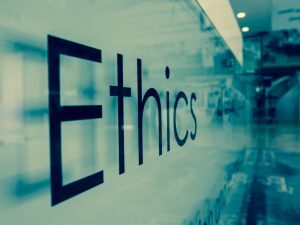 “Is Fidelity Ethical? : The Social Role of the Healthcare Interpreter.” TTR: Traduction, terminologie, rédaction 17 (2):89-114. doi: 10.7202/013273ar. Dimitriu, Ileana. 2009. “Translation and Shifting Identities in Post-apartheid South Africa: Rethinking Teaching Paradigms in Times of Transition.” In Translation Studies in Africa: central issues in interpreting and literary and media translation, edited by Judith Inggs and Libby Meintjes, 180-203. London: Continuum. Drugan, Joanna. 2017. “Ethics and social responsibility in practice: interpreters and translators engaging with and beyond the professions.” The Translator:1-17. doi: 10.1080/13556509.2017.1281204. Eliasoph, Nina. 2013. The Politics of Volunteering, Political Sociology Series. Cambridge, UK: Polity. Fiola, Marco A. 2004. “Traduction, Éthique et Societé/Translation, Ethics and Society.” TTR: Traduction, terminologie, rédaction 17 (2):9-12. Floros, Georgios. 2011. “’Ethics-less’ Theories and ‘Ethical’ Practices.” The Interpreter and Translator Trainer 5:65-92. doi: 10.1080/13556509.2011.10798812. Gill, Rosalind M., and María Constanza Guzmán. 2010. “La enseñanza de la traducción orientada a la conciencia social en Toronto.” In Compromiso Social y Traducción/Interpretación, edited by Julie Boéri and Carol Maier, 121-133. Granada: ECOS. Godfrey, Lisa. 2011. “Characteristics of Effective Interpreter Education Programs in the United States.” International Journal of Interpreter Education 3:88-105. Hale, Sandra Beatriz, and Uldis Ozolins. 2014. “Monolingual short courses for language-specific accreditation: can they work? A Sydney experience.” The Interpreter and Translator Trainer 8 (2):217-239. doi: 10.1080/1750399x.2014.929371. Harris, Brian. 1977. “The Importance of Natural Translation.” Working Papers on Bilingualism 12:96-114. Harris, Brian. 1980. “How a Three-Year-Old Translates.” In Patterns of Bilingualism, edited by Evangelos A. Afendras, 370–393. Singapore: RELC. Harris, Brian. 1992. “Natural Translation: A Reply to Hans P. Krings.” Target 4 (1):97-103. doi: 10.1075/target.4.1.08har. Harris, Brian. n.d. “All of Interpreting: A Taxonomic Survey.” n.a. Harris, Brian, and Bianca Sherwood. 1978. “Translating as an Innate Skill.” In Language, Interpretation and Communication, edited by David Gerver and H. Wallace Sinaiko, 155-170. Oxford: Plenum Press. Inghilleri, Moira. 2011. Interpreting Justice, Ethics, Politics and Language. London: Routledge. Inglehart, Ronald, and Christian Welzel. 2005. “Value Change and the Persistence of Cultural Traditions.” In Modernization, Cultural Change, and Democracy. The Human Development Sequence, 48-76. Cambridge: Cambridge University Press. Inglehart, Ronald. 1971. “The Silent Revolution in Europe: Intergenerational Change in Post-Industrial Societies.” American Political Science Review 65:991-1017. Jung, L. Shannon, Tibor R. Machan, and Sanford A. Marcus. 1983. “Commercialization and the Professions [with Commentaries].” Business & Professional Ethics Journal 2 (2):57-91. doi: 10.2307/27799785. Koskinen, Kaisa, and Helle Dam. 2016. “Academic Boundary Work and the Translation Profession: Insiders, Outsiders and (assumed) Boundaries.” JoSTrans: The Journal of Specialised Translation 25:254-267. Kroezen, Marieke, Liset van Dijk, Peter P. Groenewegen, and Anneke L. Francke. 2013. “Knowledge Claims, Jurisdictional Control and Professional Status: The Case of Nurse Prescribing.” PLOS ONE 8 (10):e77279. doi: 10.1371/journal.pone.0077279. Lai, Miranda, and Sedat Mulayim. 2010. “Training refugees to become interpreters for refugees.” Translation & Interpreting. The International Journal for Translation & Interpreting Research 2 (1). Lázaro Gutiérrez, Raquel, and Carmen Valero-Garcés. 2014. “Monitoring quality of interpreting and mediation services in the healthcare setting.” International Conference on Non-Professional Interpreting and Translation (NPIT2), Germersheim. Longstaff, Simon. 1996. “The Role of Ethics in Commercial and Professional Relationships.” In Law of Commercial and Professional Relationships, edited by Simon Fisher, 89-116. Melbourne: FT Law and Tax. de Manuel Jerez, Jesús. 2010. “From Ethics to Politics: Towards a New Generation of Citizen Interpreters.” In Compromiso Social y Traducción/Interpretación, edited by Julie Boéri and Carol Maier, 134-145. Granada: ECOS. McDonough Dolmaya, J. 2011. “Moral Ambiguity: Some Shortcomings of Professional Codes of Ethics for Translators.” JoSTrans: The Journal of Specialised Translation 15 (null):28. Miletich, Marko. 2014. “Serve and Learn! Creating a Service-Learning Course for the Translation and Interpreting Classrooms.” The Journal of Translation Studies 15 (4):251-286. Muñoz, Ricardo. 2012. “Not a ‘Monkey Business’. The Translator: Non-Professionals Translating and Interpreting. Participatory and Engaged Perspectives.” The Translator 18 (2):363-371. doi: 10.1080/13556509.2012.10799515. Pearce, Russell G. 1995. “The Professionalism Paradigm Shift: Why Discarding Professional Ideology Will Improve the Conduct and Reputation of the Bar.” New York University Law Review 70:1229-1266. Pöchhacker, Franz. 2006. “Interpreters and Ideology: From ‘Between’ to ‘Within’.” Across Languages and Cultures 7:191-207. doi: 10.1556/Acr.7.2006.2.3. Rudvia, Mette. 2006. “The cultural turn in Community Interpreting. A brief analysis of epistemological developments in Community Interpreting literature in the light of paradigm changes in the humanities.” Linguistica Antverpiensia 5:21-41. Rudvin, Mette. 2007. “Professionalism and ethics in community interpreting: The impact of individualist versus collective group identity.” Interpreting 9 (1):47-69. doi: 10.1075/intp.9.1.04rud. Toury, Gideon. 1980. “The Translator as a Nonconformist-to-be, or: How lo Train Translators so to Violate Translational Norms.” In Angewandte Übersetzungswissenschaft: Internationales Übersetzungswissenschaftliches Kolloquium an der Wirtschaftsuniversität Ärhus, Dänemark, 19.-21. Juni 1980, edited by Sven-Olaf Poulsen and Wolfram Wilss, 180-194. Ärhus. Toury, Gideon. 1982. “A Rationale for Descriptive Translation Studies.” In The Manipulation of Literature. Studies in Literary Translation, edited by Theo Hermans, 16-41. London: Croom Helm. Toury, Gideon. 1982. “Transfer as a universal of verbal performance of L2 learners in situations of communication in translated utterances.” FINLANCE 2:63-78. Toury, Gideon. 1984. “The Notion of ‘Native Translator’ and Translation Teaching.” In Die Theorie des Übersetzens und ihr Aufschlußwert für die Übersetzungs- und Dolmetschdidaktik, edited by Wolfram Wilss and Gisela Thome, 186-195. Tübingen: Narr. Tymoczko, Maria. 2000. “Translation and Political Engagement: Activism, Social Change and the Role of Translation in Geopolitical Shifts.” The Translator 6 (1):23. Wilensky, Harold L. 1964. “The professionalization of everyone?” The American Journal of Sociology 70:137-158. Zaidan, Omar F., and Chris Callison-Burch. 2011. “Crowdsourcing Translation: Professional Quality from Non-Professionals.” Proceedings of the 49th Annual Meeting of the Association for Computational Linguistics, Portland, Oregon. ** Photo by Flickr user Dan Mason (see original), used under a Creative Commons BY-NC-SA 2.0 licence.